Typically It’s 40 degrees or Colder..! The typical shingles planned for your roof replacement have been safely and successfully installed in cold climates for almost a century. That’s in Canada, the United States and all over northern Europe. 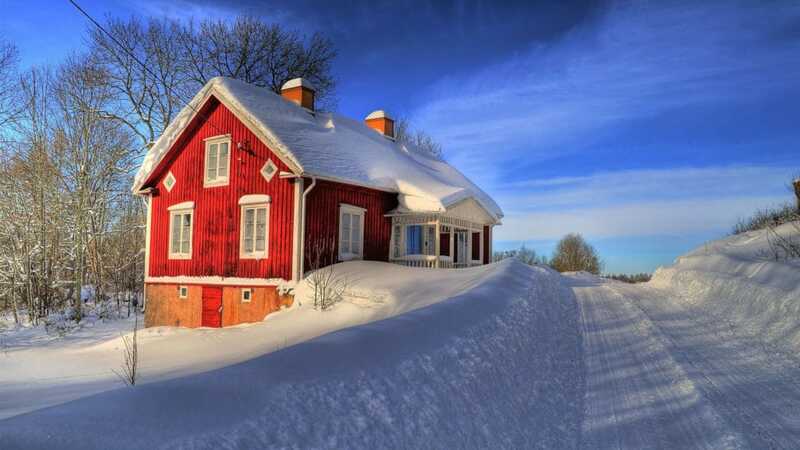 But working in the winter’s cold may allow a perfectly brilliant new roof, but there are several things to keep in mind. Not just for the owner but also the crews. 1. On a steep roof in the winter, if it’s very cold we have to be cautious about ice; and even cold surfaces are more slippery than warm and dry ones. Just wait until it’s free of ice and frost. 2. When installing the asphalt shingles in near freezing weather, especially for residential roofing Mooresville NC, remember they can become brittle and less flexible. a. Don’t flop bundles at the top ridge of a roof as you carry them up to the work area. The folding over the shape of the ridge might crack or crease the shingles, even for residential roofing in Charlotte NC. b. Makes sure the shingles are “flat” on the surface of the roof deck when you nail; otherwise the force of the hammer or nail gun may break the new shingle. 3. Most modern shingles, especially the ones offered by Carolina Storm Roofing, are manufactured with a heat-activated strip along the center. This is a special asphalt sealant that binds one course of shingles to the one below and above. As the shingles are exposed to higher temperatures over the next few week, from sunlight, the entire roof face can become one unified sheet of waterproof protection for your home. 4. The woven valley favored by most roofers, including Carolina Storm Roofing, does require each shingle to be bent, something a cold shingles dislikes. In very cold weather, we might suggest an open metal valley treatment. 6. Do not re-roof over existing shingles in cold weather. While it is legal in this area, the lumpy and uneven may be easily seen after the job is complete. 7. As inspectors walk the roof in cold weather, the shingles are more susceptible to cracking and breaking. 8. Snow removal is another issue; it is our recommendation that roofing be suspended until the snow is gone. When it comes to efficient roofing needs, you may contact Carolina Storm Roofing for immediate roofing services. Whether you need roof repair, roof installation, roof replacement, or even winter roofing services, you can count on us for help! Contact Us Today!